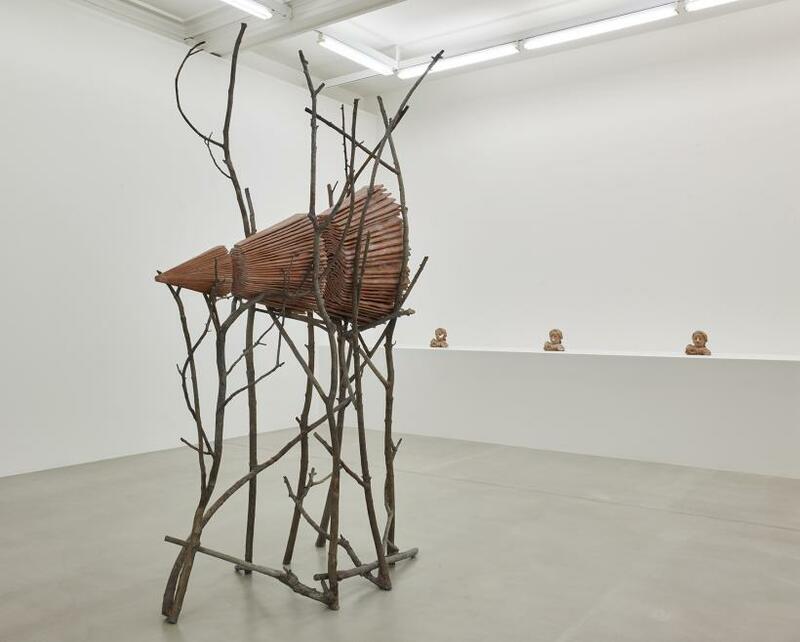 Credit : Copyright Giuseppe Penone and courtesy of Giuseppe Penone and Marian Goodman Gallery. 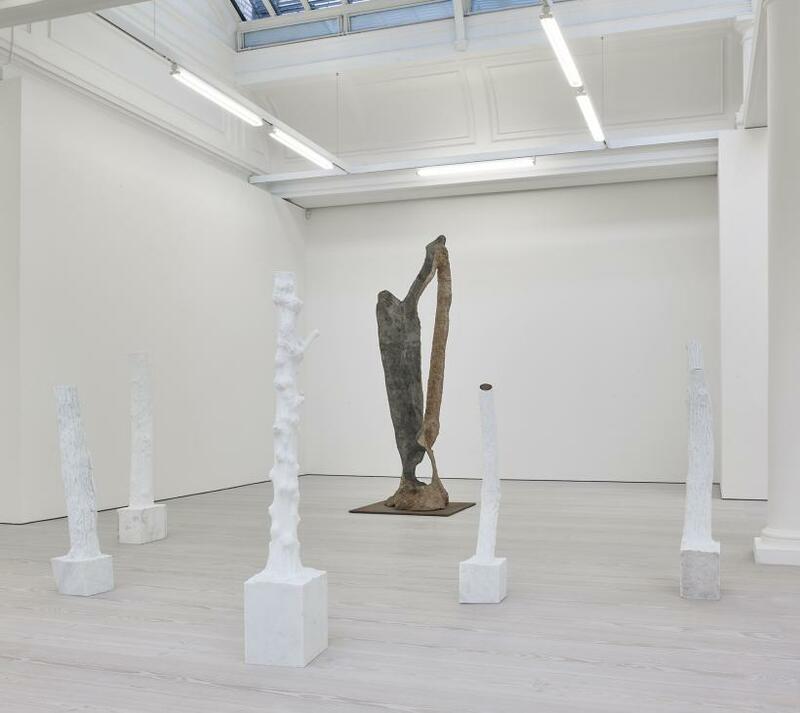 The title of Giuseppe Penone’s show at Marian Goodman – ‘Fui, Sarò, Non Sono, or I was, I will be, I am not’ – plays off the theme of growth and change. 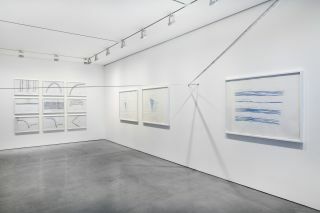 Sculptures and drawings, mainly of trees, are twisted, moulded and developed throughout the space, assuming a new identity. 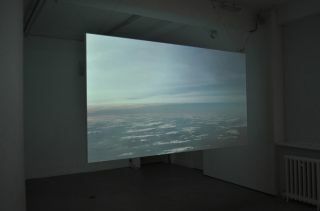 It’s an exhibition that reflects the hazy last days of summer, the trees outside losing their leaves while those inside have their leaves stripped and reworked. 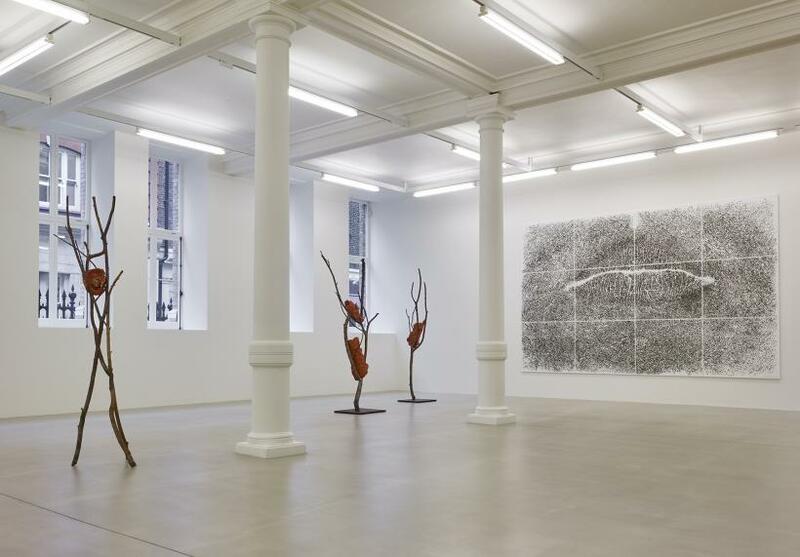 Despite the ‘I am not’ in the show’s title, Penone is omnipresent throughout. 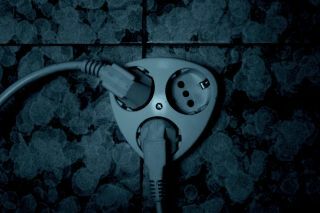 Evidence of his touch lingers on the works. His terracotta busts of his daughter Caterina have a rough, painterly quality, with deep thumbprints for eyes and sculpted impasto features. 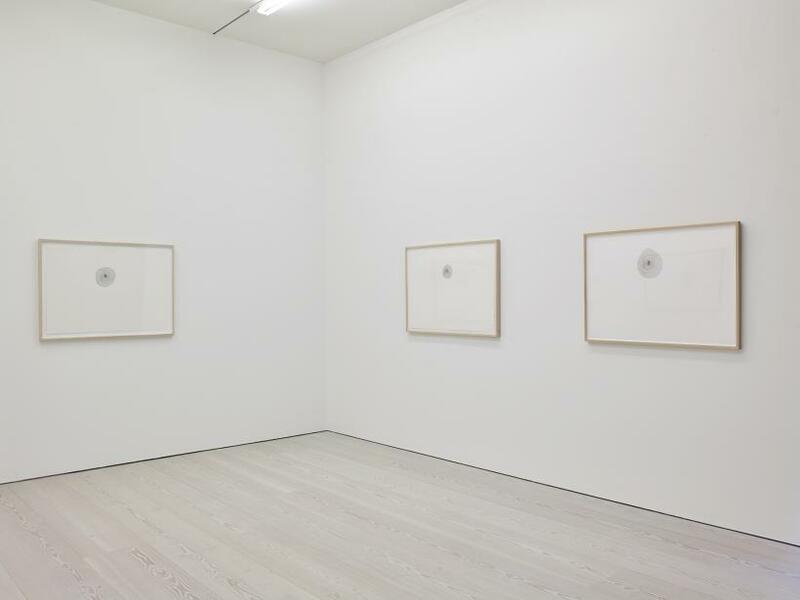 In ‘Propagazione’, the artist’s thumbprint spirals outward in painstakingly drawn concentric circles, becoming the inner rings of a tree trunk. 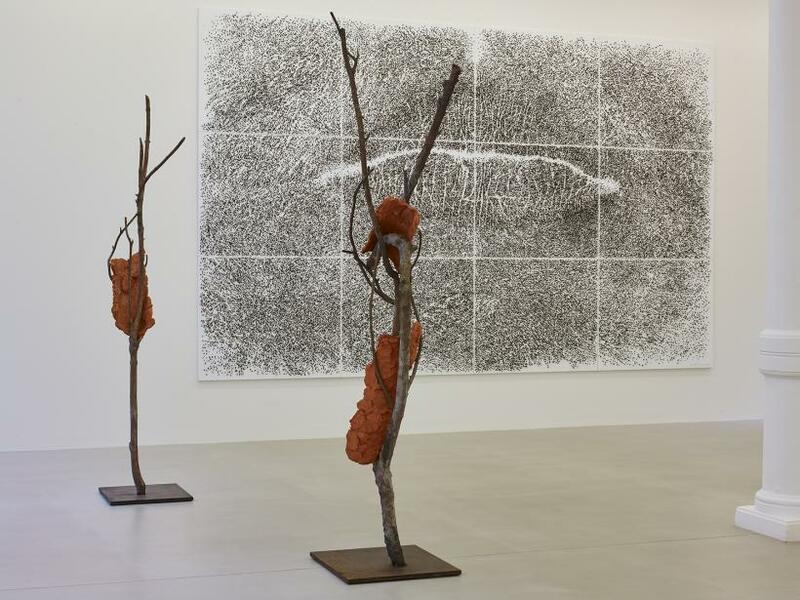 The artistic gesture here is inseparable from the natural form, the tree emanating outwards from Penone’s touch. 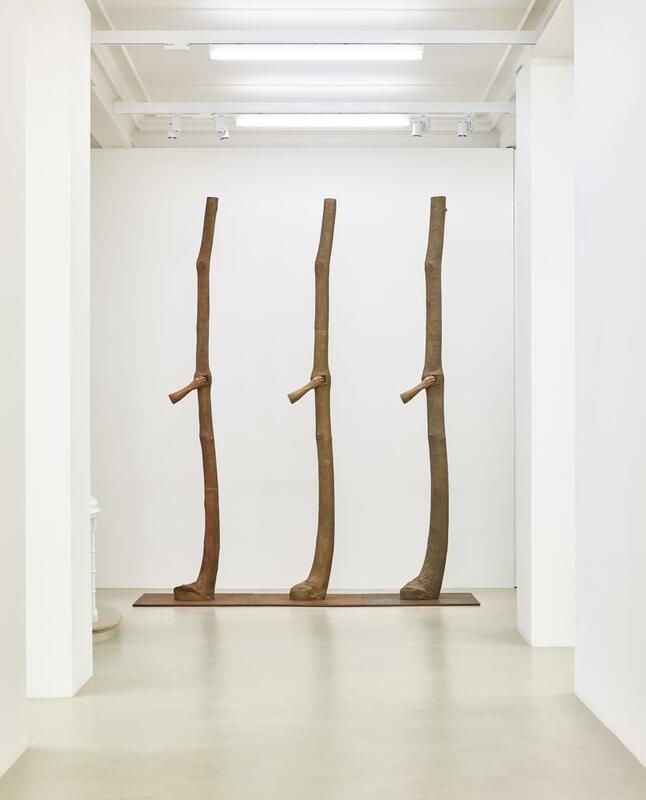 Nowhere is this deliberate gesture more apparent than in ‘Trattenere 6, 8, 12 anni di crescita’, three bronze castings of a young tree positioned side by side. Penone fixed a bronze cast of his hand to the sapling’s trunk and recast the entire form six, eight and twelve years afterwards, measuring how the tree continued to grow despite its restriction. The hand pulls inside the nooks of the branches, boring into the natural material and gauging out negative space. Both the artist’s hand and the tree coexist as one organism – a living sculpture. 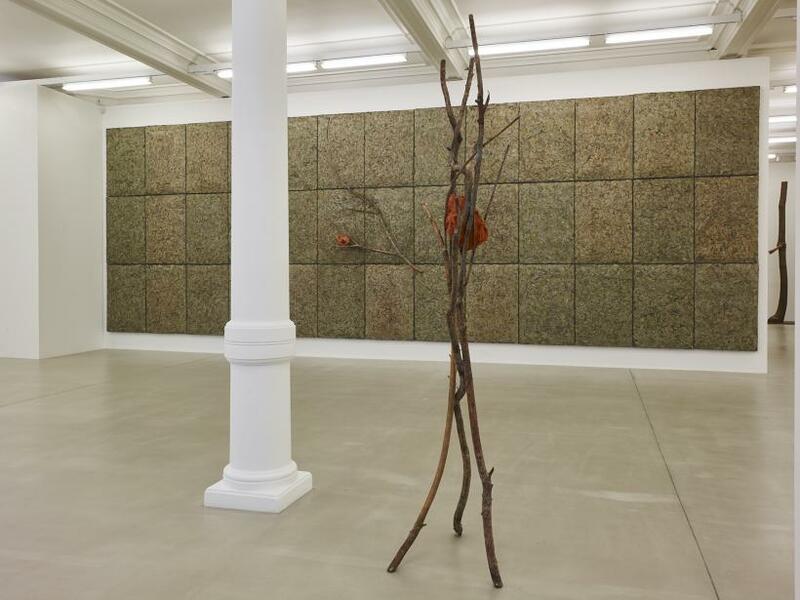 Penone’s treatment of nature here, as in other works, can often appear sinister and encroaching. A wire cage of monumental proportions is stuffed full of thousands of laurel leaves, imprisoned in the artwork. Spiny acacia thorns are used as brushstrokes, violent stipples across a white canvas. A pile of clay tiles is supported precariously by a few spindly branches. Materials are deceptive to the visitor’s eye – some of the bronze trees are so convincingly wooden that their fragility is a marvel. 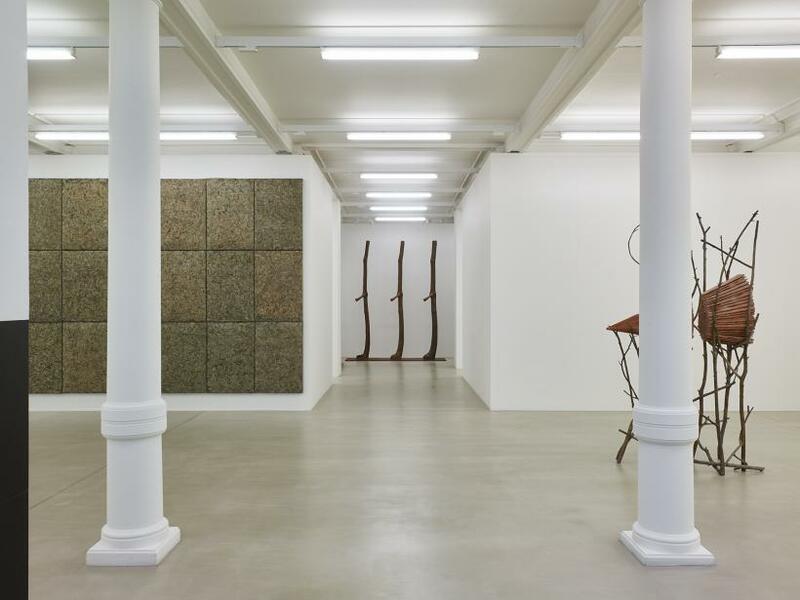 Penone shows how nature can be manipulated, bent and worked slightly out of shape, at the hands of the artist and of humankind. The upper gallery is more playful, with works frankly declaring that they aren’t imitations of trees but sculptural riffs on them. Here, the speckled patina of the bronze is left visible. Marble branches sit proudly on marble plinths, their insides filled with bronze. 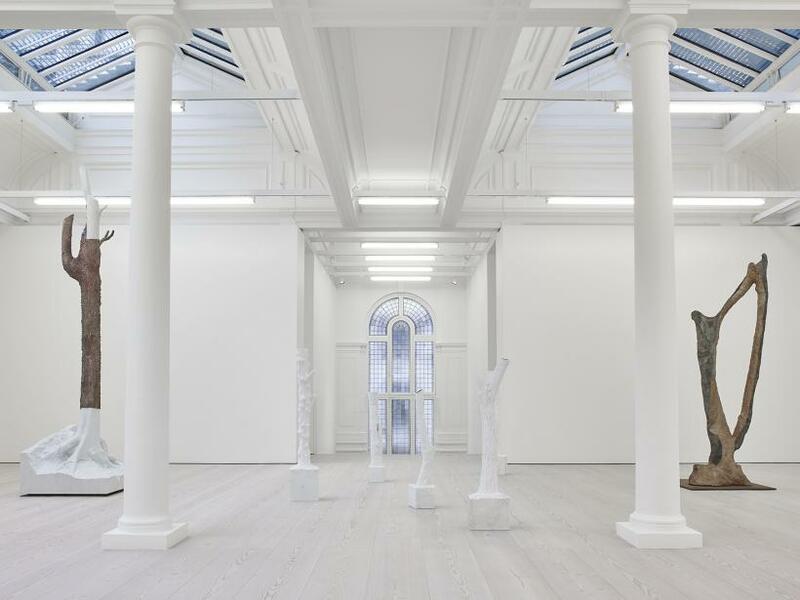 This artificial forest interacts with the gallery’s architecture, entering into dialogue with the pillars and reaching to grow upwards towards the skylight. One branch is entirely encased in blobs of black wax, thumbed down flat like Blu-Tack, its surface like overlapping scales. It’s a delicate exaggeration of its natural knobbly appearance, reworked by the artist’s hand. None of the works here seek to glorify organic beauty. Instead Penone opts to show nature it for all that it is – sometimes ugly, often threatening and almost always imperfect. The dexterity of the artist’s touch triumphs in the stubbly, gnarly details carried over from wood to bronze. It’s a joyous testimony to the delicate balance that exists between nature and artifice, and it takes an adept pair of hands like Penone’s to uphold it.